Samsung Apps hits 5 million Smart TV app downloads | What Hi-Fi? Samsung Apps, the company's online store for Smart TV applications, has hit its 5 millionth download. The worldwide store, which launched back in February 2010, includes free and paid-for downloads, with video apps coming out on top. The top 5 worldwide apps are YouTube, Google Maps, Accuweather, Vimeo and Texas Hold 'Em (the most popular app in France). Samsung says there are now more than 550 apps available, though the number varies from country to country. The number of downloads is accelerating rapidly, with the store hitting 2 million apps in January of this year before jumping to 5 million this month. The company recently announced its 3D-on-demand video app, Explore 3D, giving access to free 3D video content. 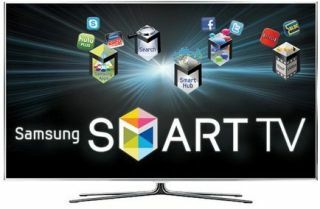 Smart TV apps allow any internet-connected TV to access on-demand content, including video, news and games, with Samsung's Smart TV service available across a wide range of its 2011 TVs. Kevin Kyungshik Lee, Vice President, Visual Display Business, Samsung Electronics, said: "These apps are one of the cornerstones of the overall Smart TV experience and they will continue to grow both in number and the diversity of experiences."